After Stalingrad, German victory agains the Soviets was not a realistic possibility. Yet there were alternatives that could have prolonged the war. At daybreak on Monday, July 12, 1943, SS Sturmbannführer Christian Bachmann, the panzer group commander of the 3rd SS Panzergrenadier Division, ordered his unit to cross the Psel River and attack. The Germans drove north toward the east-west road connecting the towns of Karteschewka and Prokhorokva. After fighting through several Soviet defensive positions and advancing nearly five miles, the panzer group reached the road around midnight. The plan for the next day was to attack the rear of the Soviet forces defending the town of Prokhorokva, just three miles to the east. The Soviets would either be encircled or forced to retreat, and the Germans would break through one of the last major defensive belts protecting the Russian town of Kursk, the objective of Operation Citadel, the effort to encircle a large number of Red Army troops that occupied a salient, or bulge, deep in the German front line. Success would mean the death or surrender of thousands of Soviet soldiers, and Operation Citadel had reached a critical stage. Would one last successful German attack toward Prokhorokva unhinge the extensive Soviet defenses? The attack toward the Karteschewka-Prokhorokva road had cost Bachmann’s panzer group 45 tanks destroyed or damaged, nearly 50 percent of its total strength. Coupled with sheer exhaustion, mounting personnel losses, and the arrival of massive Soviet reinforcements, the panzer group could go no farther. In fact, all the German forces participating in the offensive were in the same situation. Operation Citadel had been stopped. The Karteschewka-Prokhorokva road was the closest the German’s got to Kursk, and it was also the last gasp of the last major German summer offensive on the Russian Front in World War II. The Soviet encirclement of the German Sixth Army at Stalingrad ended on February 2, 1943, with the destruction of more than 20 German divisions and much of the Romanian, Hungarian, and Italian armies guarding the flanks of the Sixth Army. The loss of nearly 225,000 men at Stalingrad left little for the Germans to stop the Soviets, who were trying to encircle the remaining armies of Army Group South. If the Soviets succeeded, the German Army would be defeated on the Russian Front. The task of stopping the Soviets and restoring the front was placed in the hands of Field Marshal Erich von Manstein, a master of mobile tank warfare who some consider the best German general of World War II. On February 17, Adolf Hitler flew to Manstein’s headquarters near the town of Zaporozhye on the Dneiper River to discuss the predicament of Army Group South. In what was becoming a common theme of Hitler’s hands-on approach to managing the army, he directed Manstein that no further retreats would be permitted and that the German soldiers would stand and fight. Manstein knew that order would lead to the destruction of the German armies in southern Russia and argued vehemently with Hitler. Manstein finally convinced Hitler to rescind the no retreat order and allow operational freedom of the forces under his command. Perhaps the fact that no German troops were between Hitler and a Soviet armored unit less than 25 miles away was also persuasive. Manstein immediately initiated a plan that deceived the Soviets into thinking that the German Army was in full retreat to the Dneiper River. The Soviets, believing that a huge victory was within reach, had pushed their armies to exhaustion and had outrun their supplies lines. German cipher decryptions of Soviet operational codes had alerted Manstein of this fact, and he unleashed his panzer divisions in an attack on the weak Soviet flanks. The plan, later to be known as Manstein’s Counterstroke, was very successful and indeed accomplished its goals. The fourth largest city in Russia, Kharkov, was recaptured, and the Soviet offensive was stopped with considerable losses. Unfortunately for the Germans, the rainy season in Russia started in March and turned most of southern Russia into an ocean of mud in which most motorized movement was rendered nearly impossible. Exhaustion and mud put an end to the German counteroffensive just in time for the reeling Soviets. For the Germans, the unfortunate outcome of the victory was the formation of a bulge in the front line, 120 miles wide at its base, centered around the town of Kursk. Within the Kursk Salient, nine Soviet infantry armies and two tank armies were at stake, and if the Germans were successful any Soviet offensive action planned for the remainder of 1943 would be delayed or canceled. A victory would allow the German Army in the East to rebuild and shift units to the Mediterranean or France to meet anticipated Allied amphibious landings. The German plan was to use the classic pincer movement, attacking at the base of the bulge with the Ninth Army (from Army Group Center) from the north and the Fourth Panzer Army (from Army Group South) from the south. The armies would meet at the town of Kursk and trap the Soviet forces inside the bulge. Despite Manstein’s concerns about repeated delays, Operation Citadel finally began on the afternoon of July 4, 1943. Preliminary attacks, to gain artillery observation posts for the next day’s full offensive, were conducted by the 48th Panzer Corps of the Fourth Panzer Army. The Ninth Army and the rest of the Fourth Panzer Army began the offensive on July 5. In the north, the Ninth Army used its infantry divisions to begin the attack with the hope that they would breach the Soviet defenses. The panzer divisions would then be inserted into the breach and defeat the Soviet reserves in the open terrain north of Kursk. After several days of bloody fighting, the attack stalled near the towns of Teploye and Ponyri. The German infantry failed to make the necessary breach in the Soviet defenses, and the panzer divisions got bogged down in the defensive belts. On July 12, after the Ninth Army had committed its last reserves to the offensive, the Soviets launched Operation Kutuzov, attacking the rear (north and east of Orel) of the Ninth Army and forcing it to curtail further offensive operations. Operation Citadel was over for the Ninth Army after an advance of only about 10 miles toward Kursk. The crew of a German antitank weapon takes temporary cover during a Soviet artillery barrage. The shells are falling on a German-occupied village nearby and probably herald the advance of Red Army forces in a counterstroke against the Nazi invaders. In the south, the Fouth Panzer Army employed its panzer divisions in the opening attack and had more success. The 2nd SS Panzer Corps performed exceptionally well but was hampered by the inability of the 3rd Panzer Corps and the 48th Panzer Corps to protect its flanks. The 3rd Panzer Corps, on the east flank of the SS formations, had to start the offensive by forcing a crossing over the Donets River. Strong Soviet defenses delayed the crossing, and the 3rd Panzer Corps was not able to keep pace with the advance of the 2nd SS Panzer Corps despite a successful surprise attack using captured Soviet T-34 tanks on the night of July 11. The 48th Panzer Corps, despite containing the elite Gross Deutschland Panzer Division with more than 300 tanks, stumbled from the start. Poor tank tactics, weather, and bad luck kept the 48th Panzer Corps from protecting the western flank of the II SS Panzer Corps. This caused the SS panzers to divert resources to protect their flank instead of pushing north for a quick, decisive breakthrough to Kursk. On July 12, the final episode of Operation Citadel began with the arrival of the Soviet 5th Guards Tank Army and several attached corps. These fresh Red Army formations attacked the II SS Panzer Corps with nearly 850 tanks, of which 520 assaulted a corridor between the Psel River and Prokhorovka being held by the 1st SS Panzer Division Leibstandarte Adolf Hitler. The Soviets committed 240 tanks against the 2nd SS Panzer Division Das Reich southwest of Prokhorovka. The massed Soviet tank formations tried to close the distance between themselves and the German tanks as rapidly as possible to offset the superior firepower and range of the German tank guns. It was a disaster for the Soviets. In total, the Soviets lost about 650 tanks to the II SS Panzer Corps. Lt. Gen. Pavel Rotmistrov, commander of the 5th Guards Tank Army, reported after the battle that he lost 400 tanks just in the area of Prokhorovka. The three divisions of the II SS Panzer Corps lost a total of 62 tanks. Soviet Marshal Pavel Rotmistrov (left) led the Soviet 5th Guards Tank Army at Prokhorovka. Contrary to many published works, Soviet propaganda, and early Soviet battle reports, the tank battle at Prokhorovka was not the “death ride” of the panzers with hundreds of German tanks being destroyed. Thorough research of German battle reports and postwar admissions by Soviet generals clearly show that tactically and numerically the Germans won the tank battle at Prokhorovka on July 12. But after July 12, the Fourth Panzer Army failed to regain its momentum after advancing almost 35 miles since July 4. The German divisions were exhausted after eight continuous days of fighting with few replacements and no reinforcements. Despite the enormous Soviet tank losses at Prokhorovka, the Soviets did accomplish their ultimate goal of stopping the German offensive. The two foremost causes of the German defeat were the lack of surprise and the enormous number of men and amount of equipment at the disposal of the defenders. Prior to the start of Operation Citadel, the Soviets were receiving excellent intelligence from British sources and their own spy network in Germany and Switzerland. British intelligence was indirectly sharing its intercepts from the German Enigma coding machine and gave the Soviets advance knowledge of the German plans. The Soviets also had a spy known as “Werther,” who provided the starting date of Operation Citadel and locations of the German attacks. To this day, the identity of “Werther” is unknown, but some speculate that it was either Hitler’s personal secretary Martin Bormann, chief of German intelligence, the Abwehr, Admiral Wilhelm Canaris, or a high-ranking officer in the communications section at Hitler’s headquarters. 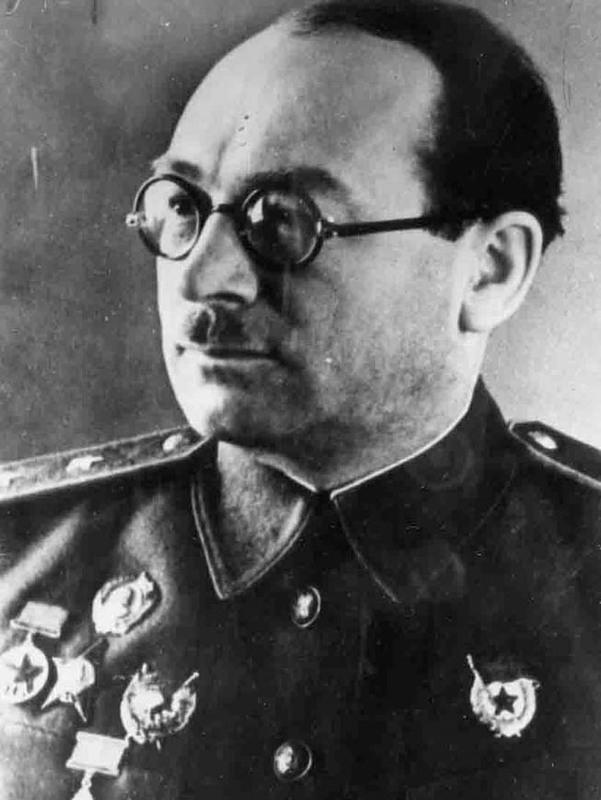 Whoever Werther was, he had immediate access to the German high command since much of the information he passed on to the Soviets was timely, sometimes coming the day after the Germans issued the order. It is interesting to note that most of the command decisions made during Mainstein’s Counterstroke originated from Mainstein’s headquarters, not Hitler’s. This lends credence to the prospect that a spy lurked in Hitler’s inner circle or at least somewhere in the German high command. Further, it is reasonable to assume that since orders originated in Manstein’s headquarters rather than Hitler’s during the German counteroffensive, the Soviets were blinded and deceived into thinking the Germans were in full retreat rather than preparing a counteroffensive. Even after two years of horrific battlefield losses, the Soviets still had considerable reserves that could be fed into the battle and wear down the Germans. After committing the 5th Guards Tank Army from the Steppe Front, the Soviets had four infantry armies, three cavalry corps, and three other mechanized corps—nearly 950 tanks and about 350,000 men still in the Steppe Front—as reserves. Had the Fourth Panzer Army broken through in the south, it would still have had to fight these overwhelming reserves. The Soviet advantage in reserves is striking when compared to the available German reserves. The 24th Panzer Corps contained three understrength panzer divisions, of which only two were available for Operation Citadel. The two divisions (23rd and SS Wiking), with a total of 97 tanks and 12,000 men, only started to move up to the battlefield on July 12. The third division of the corps was still involved in combat operations with the 1st Panzer Army to the south. The Germans were too weak and stretched too thinly to be caught in a slugfest with the Soviets at Kursk. 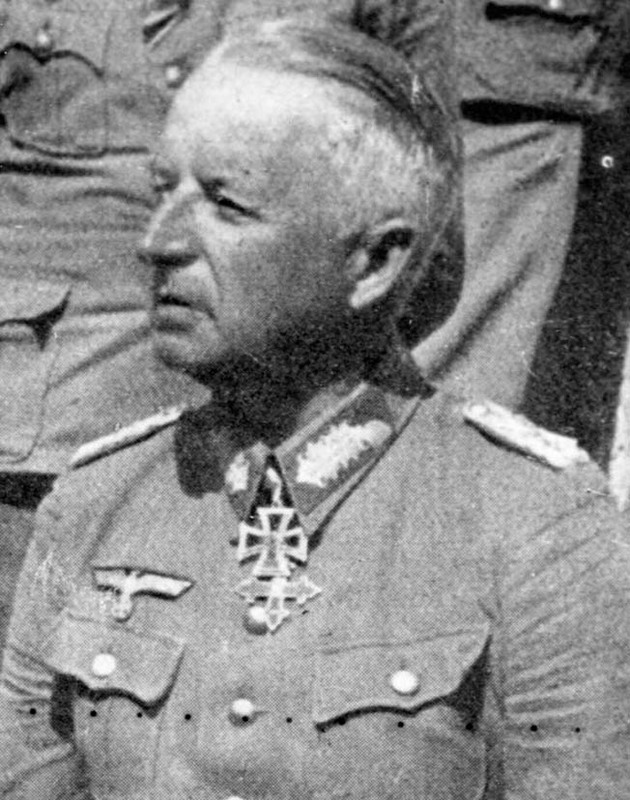 German Field Marshal Erich von Manstein led the German forces tasked with reducing the Kursk salient. In February 1943, Manstein put forth two operational proposals for the coming summer. The first, known as the Forehand Proposal, had the Germans initiating a limited offensive as soon as the rainy season ended, with the intent of crippling the Soviets so that they could not mount major offensive operations for the rest of the summer. The second option was known as the Backhand Proposal. This plan would let the Soviets launch their major summer offensive and then use the superiority of the German panzer forces to attack the enemy flanks and encircle the attackers. It would require mobile operations and giving up large expanses of captured Soviet territory to encircle the Soviet forces. Of course, giving up any captured territory was totally against what Hitler wanted. The proposal was doomed from the beginning. After further discussions and the masterful counterstroke by the German forces in March, the Forehand Proposal was accepted, and it eventually became known as Operation Citadel. Two other operations, known as Habicht and Panther, were also discussed as precursors to Operation Citadel. Their objective was to eliminate a bulge in the front line near Izyum that was threatening the industrial complex near Kharkov. Hitler seriously considered these operations but dismissed them in favor of launching just one operation, Citadel. By themselves, these two operations would have occurred on a smaller scale than Operation Citadel and would not have significantly changed the course of the war on the Russian Front. However, depending upon the success or failure of these operations, Citadel may never have been launched. In addition, another operation briefly discussed was the elimination of the Kursk Salient by attacking it from the front near the town of Rylsk. German forces would capture Kursk and spread north and south to encircle the remaining Soviet forces inside the bulge. However, the road network and terrain around Rylsk were not suitable for transporting large numbers of men and their heavy equipment. This variation of the offensive offered little advantage since the Germans would still face the same defensive belts and Soviet reserves. Any hope of winning the war against the Soviet Union was lost at Stalingrad. But in July 1943, the German Army was still capable of inflicting serious losses on the Soviets if properly led. Could all the other factors have fallen in place to change the outcome of the war with Russia to something other than total defeat? The Germans could not recover from the losses incurred during the previous two years of campaigning, and Soviet resources seemed limitless. Soviet industrial output was several times that of the German war industry, and the Germans were at a significant manpower disadvantage even after the horrendous Soviet losses from the previous years of fighting. As an example, in August 1943, the 5th Guards Tank Army and the 1st Tank Army lost nearly 800 of their initial 1,000 tanks in a series of battles near the town of Bogodukhov. Both of these armies had been badly mauled during Operation Citadel, but the Soviets were able to replace the losses within of a month. The Soviet advantage in tanks, aircraft, artillery, and men would only get worse for the Germans in the remaining years of the war, especially after the Western Allies landed in Normandy on June 6, 1944. The Germans had no chance of competing with such overwhelming Soviet forces unless they used superior strategy and tactics. Could the Backhand Proposal Have Succeeded? The outcome of Operation Citadel might lead one to believe that Manstein’s Backhand Proposal might have been more successful. This was the proposal favored by Manstein and General Heinz Guderian, another expert on tank warfare who was then serving as Inspector General of Panzer Troops. 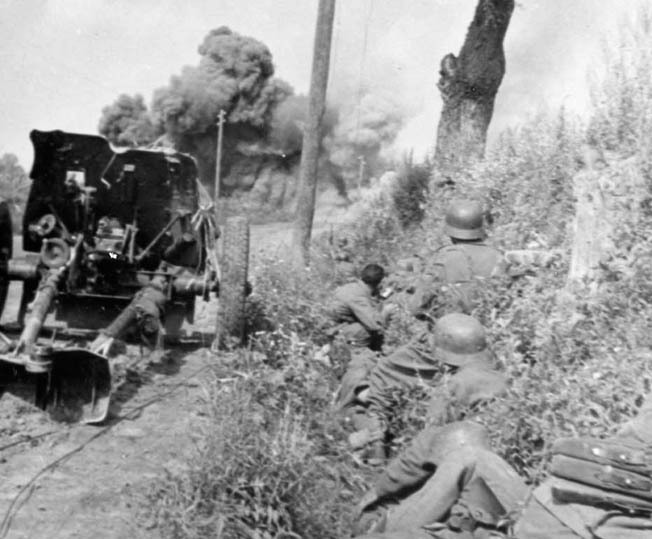 Backhand would have been a replay, but on a larger scale, of the successful March counteroffensive that utilized the German panzer force’s superiority in mobile operations and tactics. If Backhand had any chance of changing the course of the war against Russia, the Germans had to inflict serious losses on the Soviets—and it would have to be done without direction from Hitler and his spy-infested headquarters. A successful Backhand strategy with an orderly retreat to shorter and more defensible positions along the Dneiper River would have prolonged the war against Russia. 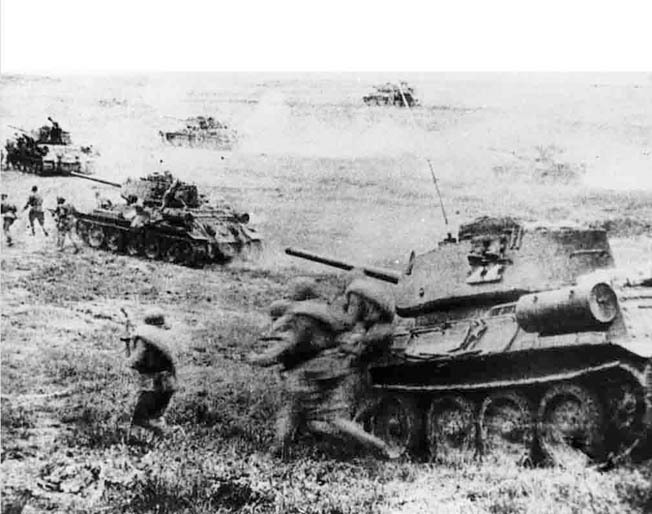 Soviet T-34 medium tanks and accompanying infantry charge across open ground during the epic Battle of Kursk in the summer of 1943. Soviet armored doctrine required that Red Army tanks close rapidly with the enemy to negate the outstanding range of the heavy 75mm and 88mm guns that equipped German tanks. The Opportunity For a Separate Peace? In January 1943, British Prime Minister Winston Churchill and President Franklin D. Roosevelt met at Casablanca in North Africa and agreed that the only option for the Axis was unconditional surrender. Soviet Premier Josef Stalin, who did not attend the Casablanca summit, voiced his displeasure from the beginning but followed suit for the rest of the war. However, the agreement was made between untrusting partners. Roosevelt was afraid that Stalin would make a separate peace with the Germans and leave the Western Allies bearing the full weight of the German war machine. Churchill did not completely agree since it would leave out any possibility of negotiations with the Germans that could help keep the Soviets out of Eastern Europe. Stalin had always been leery of the Western Allies and thought they had underlying motives against Russia. After the German defeat at Stalingrad in February 1943, Stalin even implied that peace negotiations with Germany could be possible if Hitler and his Nazi regime were removed. A significant German victory in Russia during 1943 in conjunction with peace “feelers” that had been initiated with Russia in late 1942 may have been able to convince Stalin to accept a separate peace. Obviously, many things would have had to occur for this to happen. However, the possibilities did exist for any outcome besides a total German defeat in Russia. Tags Abwehr, Adolf Hitler, Allies, Axis, Battle of Kursk, Das Reich, Eastern Front, Erich von Manstein, general heinz guderian, German Sixth Army, Izyum, Kharkov, Martin Bormann, Operation Citadel, Panzer Corps, Prokhorovka, Soviet Union, Stalingrad, Wilhelm Canaris, Winston Churchill.